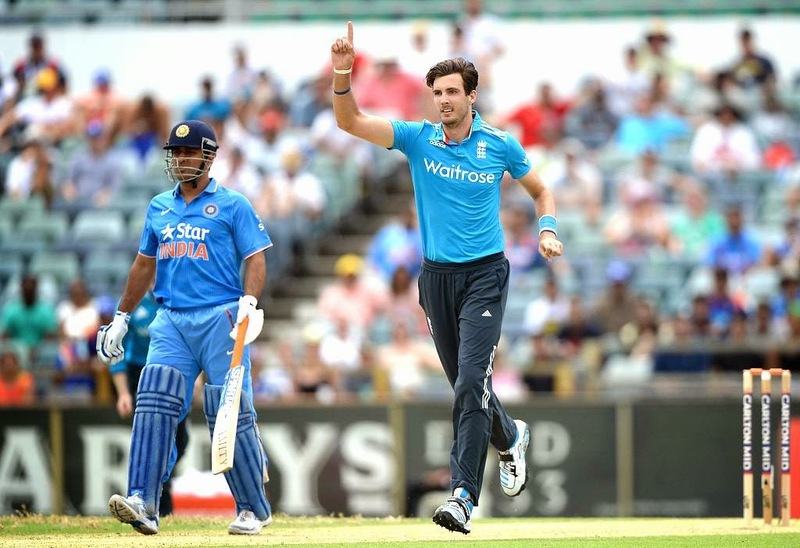 India lost the final chance they had to enter the Tri Series Finals as England defeated the Men in Blue by 3 wickets. India's previous match against Australia was washed off by the rain and both the teams earned 2 points each, the only points former team had. England winning 1 match with a bonus point in the series had 5 points on the table & them losing against the Dhoni led team today meant India would earn 4 pts & step into the Finals but this could not happen. England won the toss & opted to Field first & much like the last game India had against them, the batsmen failed to deliver a good performance & got bowled out on a mere 200, highest coming from the opener, Ajinkya Rahane's bat - 73 (101). England bowlers performed to their best, Finn taking 3 wickets & giving 36 runs in his 10 over spell. Hopes were lost & it seemed as if the Indian fans had totally surrendered. Though the result at the end did not favour the team but a kind of miracle was shown by their much criticized bowlers. England were 5 down when their scoreboard showed 66 runs which meant that the show was still on. India were enjoying this but not far away was a partnership which could turn the cards & it did! James Taylor & Buttler came up with a sensational partnership when half of their team was back to the pavilion. They were set on the field & Having a good number of deliveries left, the two smashed runs & got their team very close to the victory. India did lose the match but a positive they can take from this match is that their bowlers have the ability to defend incase the batting department fails. Stuart Binny whose selection for the World Cup 2015 was much doubted took 3 wickets giving away 33 runs in 8 overs. 30-40 runs more by the Blue caps could have produced a different result. All and all, a good game of cricket. Congratulations to Team England for qualifying for the Finals which will take place on 1st February against the hosts, Australia. England topple the Indians in a thrilling penultimate instalment to the tri-series.